I have stopped buying bread. When it’s this easy to make your own homemade bread with no work and no kneading, and you can eat it fresh and hot from the oven, this is the only way to go. No knead breads are so flexible and forgiving, you can create your own like I did. I’ve made several different versions so far but this is my favorite one. This loaf is super crusty when it’s first baked and by the second day, it’s not crusty (no breads are the second day) but it’s still a fabulous moist loaf that’s easy to slice and eat. I make it with three equal parts of whole wheat flour (not whole wheat pastry flour), rolled oats, and bread flour or all purpose flour. I would love to make it 100% whole grain but it’s just too dense for me. That’s five more ways to make this easy bread. My first recipe for faster no knead bread works well with the faster, same-day method because it uses bread flour or all-purpose flour. But when you start adding whole grains like this new multigrain bread, it really needs the overnight method. It takes more time but still no work at all. 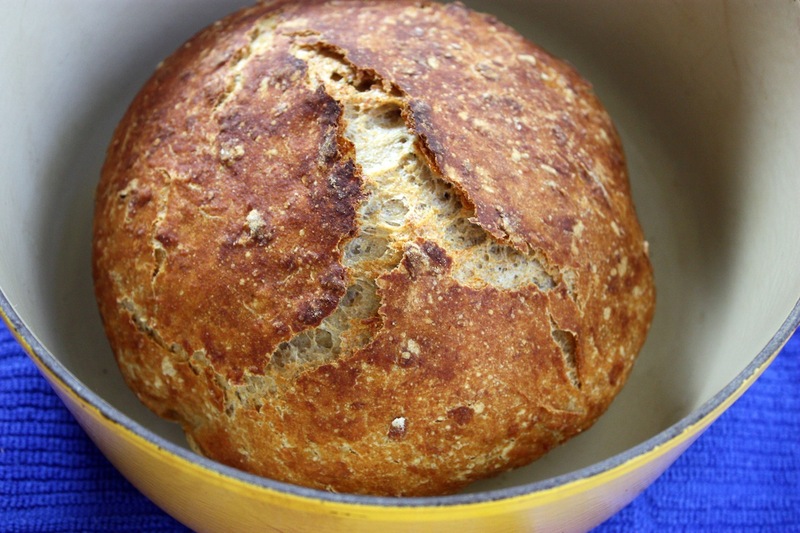 16 Comments on "No Knead Multi-Grain Bread"
Can I use clay pot instead a dutch oven? I have only used an enameled cast iron dutch oven so I can’t recommend another vessel. But I have researched online and other people claim to have success using: a glass pyrex dish with a lid, a stainless steel pot with a lid, a clay baker, and a pizza stone with a stainless steel bowl as a cover. Keep in mind that any lid must be tight fitting because you need to create steam and it should have an oven-proof handle (not plastic). Your pot will need to hold at least 3 quarts but 5 to 6 quarts is most common. What is the best way to store the bread? My bread lasts for a few days as my husband likes to have a slice (toasted) for breakfast. I am actually getting ready to bake my no knead multigrain bread as per your recipe and hope it turns out. I never store bread in plastic because it needs to breathe a little. I wrap mine tightly in foil and keep it on the counter top for 2 days and after that I refrigerate it. Thank you Jenny. I will store my bread as per your suggestion. By the way, my multigrain bread came out beautiful and delicious. One thing I do tho, is after I leave the bread (either the multigrain or white bread) to rise the second time, I take it out of the parchment paper and using a bit of flour, I shape it then put it back on the paper and into the oven. It used to frustrate me how it would rise beautifully the second time and once I take the paper with the dough out of the bowl and into the Dutch oven it would just collapse. This way the bread when baked is not flat. 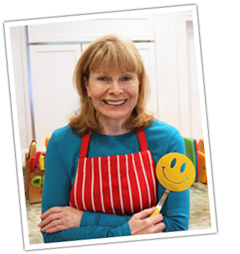 Dear Jenny, I am following your recipes and love the simplicity and ease that you introduce to it. Love making bread and they came out very nice. My daughter is glutton intolerant and I love to bake bread that she can eat too, have you tried glutton free bread and what kind of flour you suggest to be a substitute? I’m sorry I have no experience with gluten-free baking. There’s also just enough white flour to help lift the bread and prevent it from becoming too dense. So far I’ve tried it fresh from the oven, with soup, in sandwiches, and as toast, and it’s passed muster every time. Made the multi.grain.didnt rise very much,followed all your instructions,? I just made this bread with half rye whole wheat and half all purpose. The only thing different that I did was leave it overnight before baking in the morning. Absolutely fantastic. Love it. I too have stopped buying bread as this is so easy. Next I am going to try your fruit and nut bread. Thank you for making cooking fun again. Please let us know if it works for you. No recipe for the multi-grain.